Added on May 17, 2013 by m.k.s. Penguin books recently announced [words] Bookstore window display, designed by Meghan Keane, as winner of the national bookseller display competition. 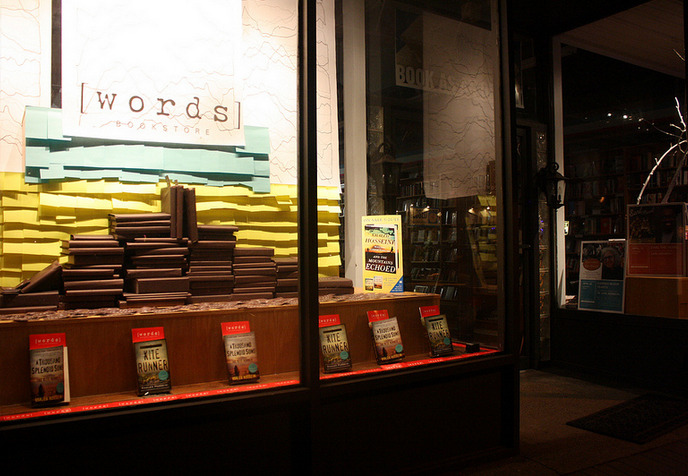 [words] Bookstore is a client of the studio, for whom Keane does art direction, marketing, and design work. Special thanks to Jonah and Ellen Zimiles, and to Michael Keane and Patrick Scafidi for photo editing and installation assistance.